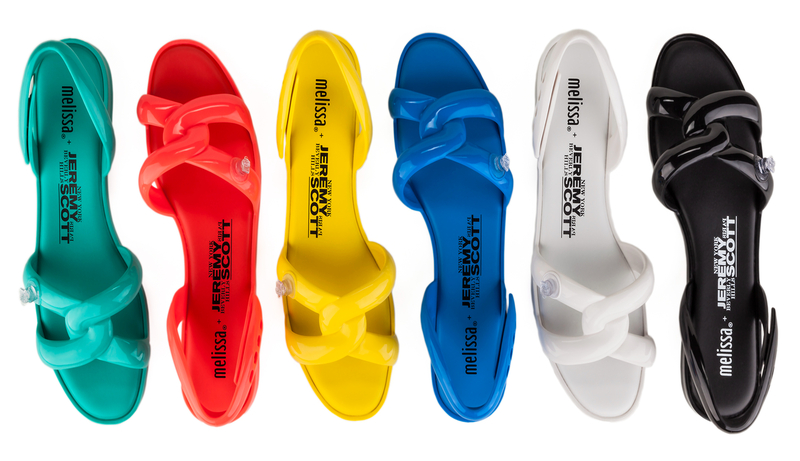 Brazilian brand Melissa®, with a history of more than 35 years, has worked to produce Jelly Shoes that have a designer edge. Melissa® makes eco-friendly shoes that are 100% recyclable, the shoes has a bubble gum smelling and the patented PVC Melflex® technology provides superior comfort. Melissa® is also a cobranding pioneer, with high profile collaborations with the following top names in contemporary fashion, art and design: Jeremy Scott, Karl Lagerfeld, etc. Renowned for his bold and adventurous styles, American fashion designer Jeremy Scott joins an impressive repertoire of top-caliber designers who have collaborated with Melissa, including Karl Lagerfeld, Vivienne Westwood, Jean Paul Gaultier, Zaha Hadid and many more, to launch the latest SS16 collaboration collection. Together with Melissa, Scott has created two signature styles: an ankle boot and a mule. 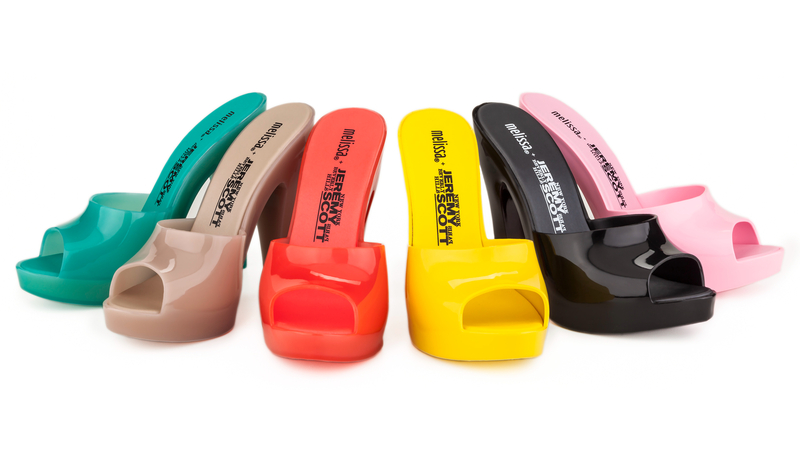 In an unprecedented move by Melissa, the Melissa Inflatable Mule + Jeremy Scott shoes are available in Melissa “Galeria” stores in New York, London and Sao Paolo. The shoes will also be available at high fashion retailers worldwide, including Colette in Paris, 10 Corso Como in Milan, and Alchemist in Miami. For the SS16 runway collection, the designer will choose from amazing colorful options for the mule, and for the ankle boot to flaunt the fantastical designs. “Being my first foray into plastic footwear, I wanted to play with the concept of inflatable pool toys,” continued Scott. 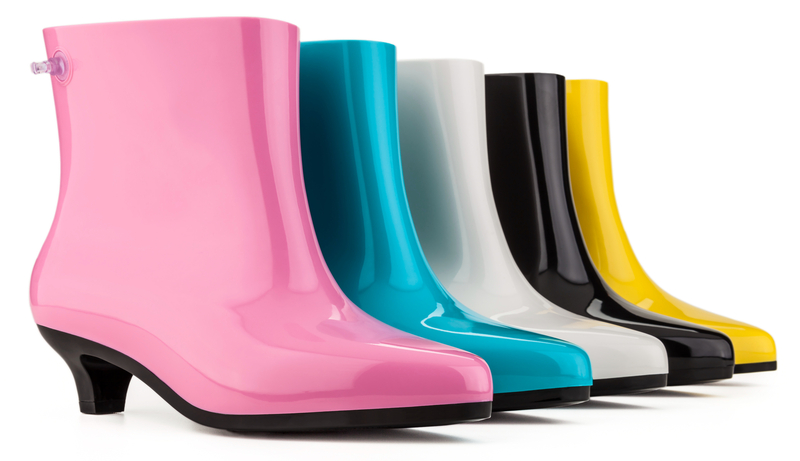 You won’t get enough of the little Monkey Boot, created by Jeremy Scott! 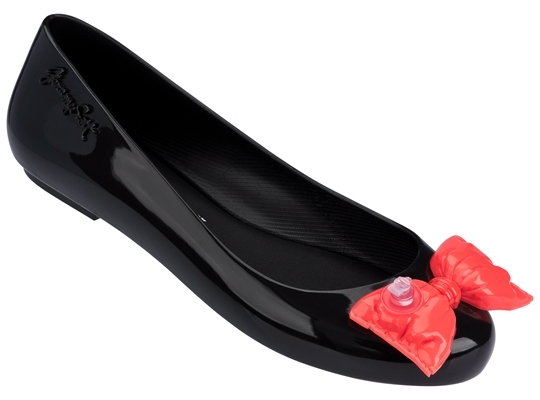 The truly translation of fun, it is perfect to be part of our girls’ charming and lovely looks. The Monkey image with the inflation valve on the upper gives it the right funny mood, as well as graceful flower applications. Comfort for the small feet and a new piece to be included in moms’ wish lists. Casual and fun, Mule by Jeremy was one of the greatest hits of his show. The high and thick heels make this item an impressive and desirable one, perfect for different occasions. Modern lines and the placement of the air nozzle on the back, imitating a float inflation valve, are some of the details that might capture fashionistas’ attention this season – as well as the diversified color palette. Focusing on a fashion winter, Jeremy Scott created this exclusive version of Melissa Ankle Boot – one of his summer show’s highlights. The color chart brings a cool mood in contrast with its elegant design. 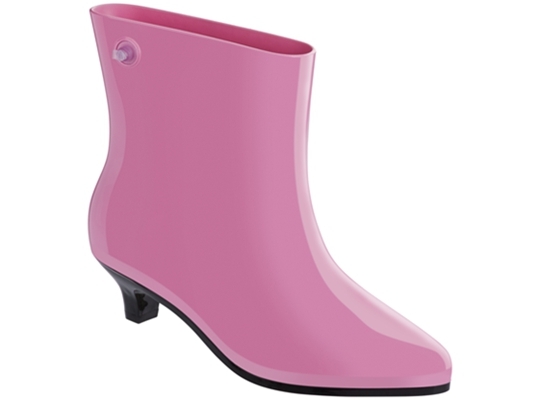 A classy rain boot with an irreverence touch, due to the placement of the air valve in one side of the shoe. With a pointy toe and low heels, this item might be one of the big hits of this collection. The 90’s pop trend was Jeremy’s inspiration to revisit the traditional Melissa’s Space Love. The vibrant color chart lights up this season, with the designer’s signature on the side of the shoe. On the upper, embossed heart and bow symbols simulate small inflatable floats, where the air nozzle was placed. Inflatable floats keep on inspiring Jeremy’s creations. Tube Sandal is a flip flop where you’ll also find the inflation valve, placed on the crossed upper. The closing back strap ensures comfort and lightness for the daily and stylish routine. Authentic, Tube Sandal is a remarkable creation. With a glossy finish, UltraGirl is renovated under Jeremy’s modern perspective. The designer chooses intense colors to give the basic flat a new mood. The inflation valve is placed on the upper, enriched by the rounded toe. Jeremy Scott’s signature can be found on the sideline.